Skill and guts. 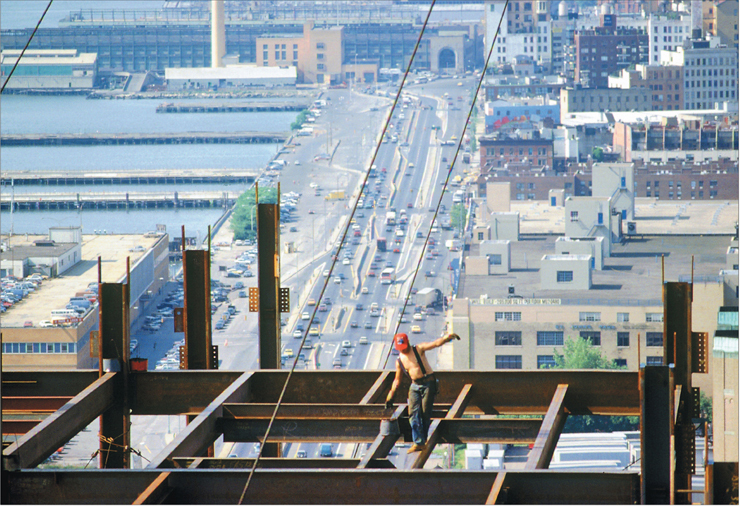 That’s what it takes to be an ironworker, raising the city’s skyscrapers and bridges from heights that, for most of us, would churn the stomach. Legendary among these steely nerved tradesmen are the Mohawk Indians, who have been performing their narrow beam balancing acts for the past 100 years. At the World Trade Center, generations of Native Americans worked on the original buildings. They were part of the the rescue and recovery effort of 9/11, and they helped to construct the towers that are there today. 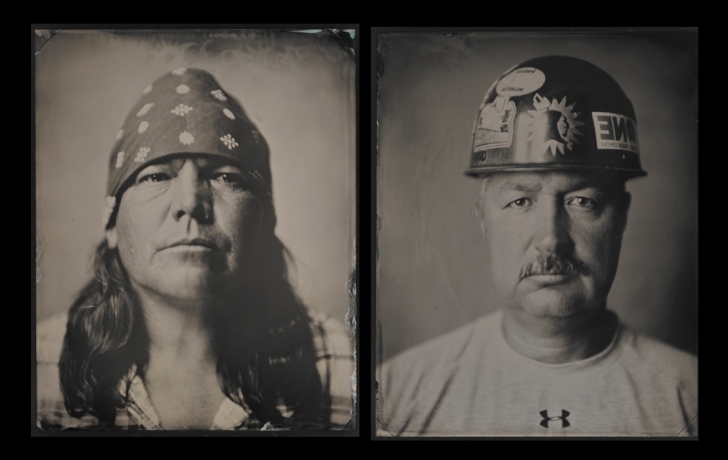 In 2012 and 2013, Cacciola made portraits of the ironworkers using the tintype process, a laborious medium that dates back to the 1850s and made popular during the Civil War as mementos to send to loved ones. The contrast and subtle tonality of the artist’s pictures evoke early photographic portraiture. There are no smile-quick-for-the-camera expressions here. Cacciola’s subjects, their strong features further enhanced by her choice of lighting, must remain motionless for 10 to 15 seconds, the length of time it takes to expose the silver on the metal plate. Cacciola spoke about the project during a recent panel discussion at the museum, moderated by Amy Weinstein, the museum’s vice president of collections and oral history. With her was one of her subjects, Lindsay LeBorgne, a fourth-generation ironworker and Brooklynite with roots in the communities of the Mohawk Nation, which lie along the border of the U.S. and Canada. His father worked on the original World Trade Center. Years later, after 9/11, LeBorgne put in long shifts in the rubble of the site, cutting down and removing the steel, and searching for victims. The danger remains part of the job. Bob Walsh, a panel member and the business manager of Local 40, the ironworkers’ union, comes from a five-generation family of ironworkers. His father died on the job when Walsh was 11. His son, he said, was almost killed. And Walsh himself fell from a height of 220 feet—only to be caught by a safety net.